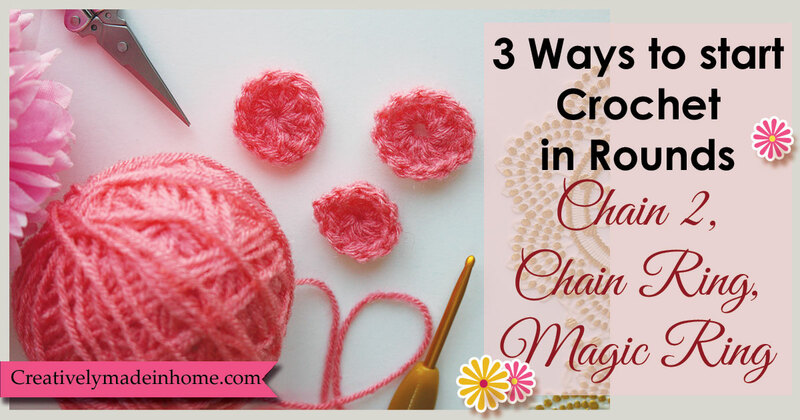 Chain 2 | Chain Ring | Magic Ring- 3 Ways to start Crochet in Rounds. In this post we will learn the three ways to start crochet in rounds with step by step photos and video tutorials. 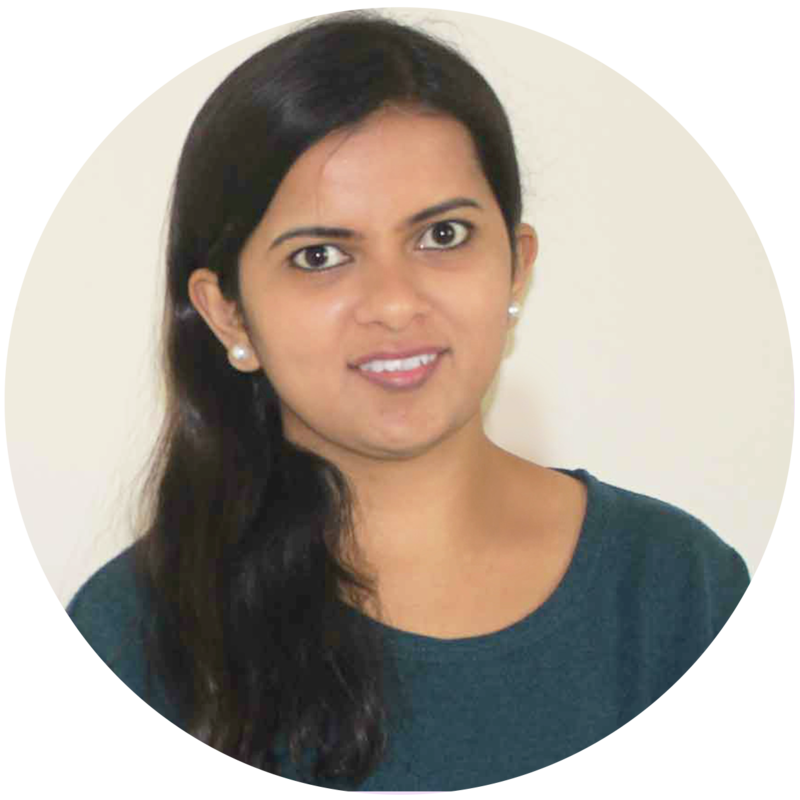 There are broadly two ways, the crochet fabric makes progression. 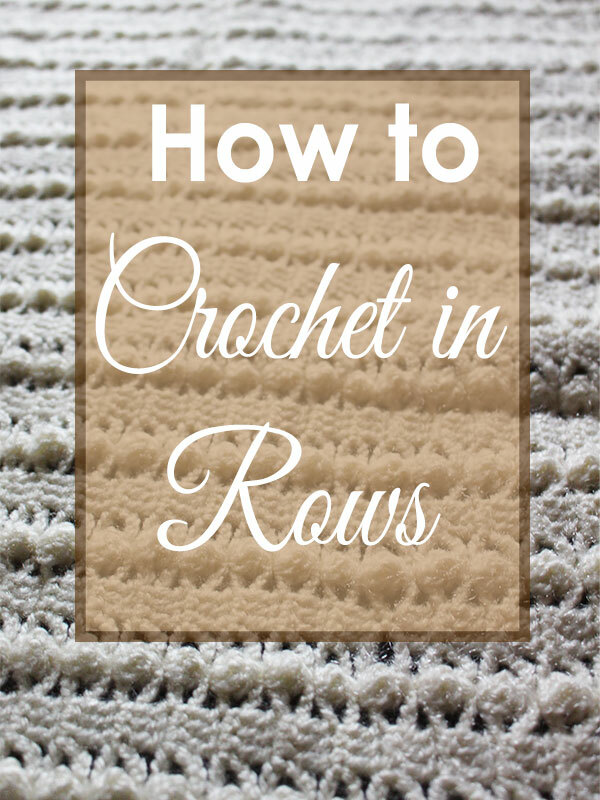 The first way is Crochet in Rows, where you form the foundation chains depending on desired size of fabric and start building above it in rows. This method works very well when you have repetitive patterns in width. For ex. 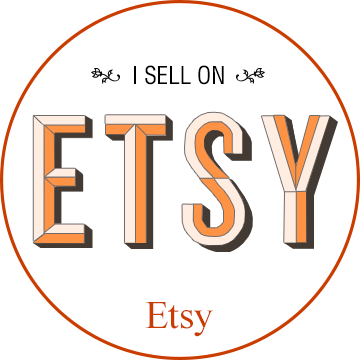 for shawl, cowl, afghan, hand-warmer, scarf, headbands and so on. In this method there would not be any right or wrong side to the fabric. 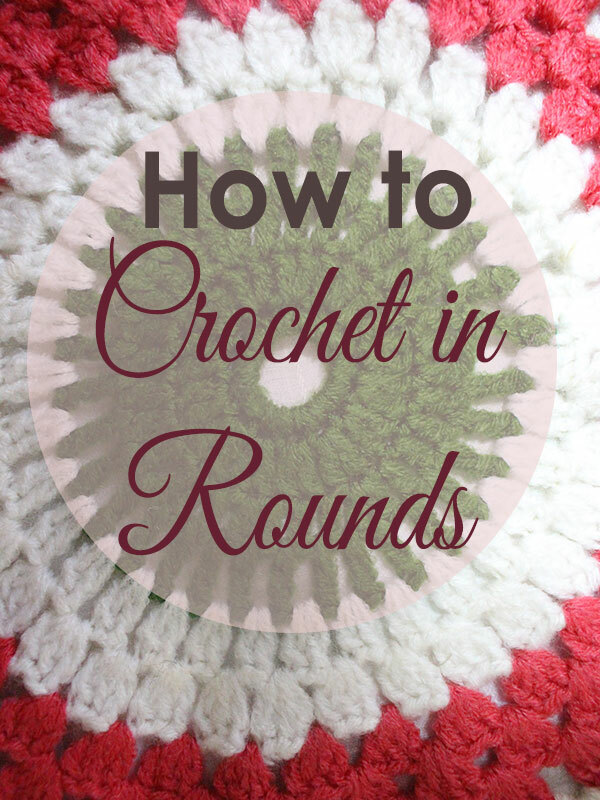 The second way is Crochet in Rounds, where you form a center and make progression around it. This gives a very interesting radical pattern to your fabric. 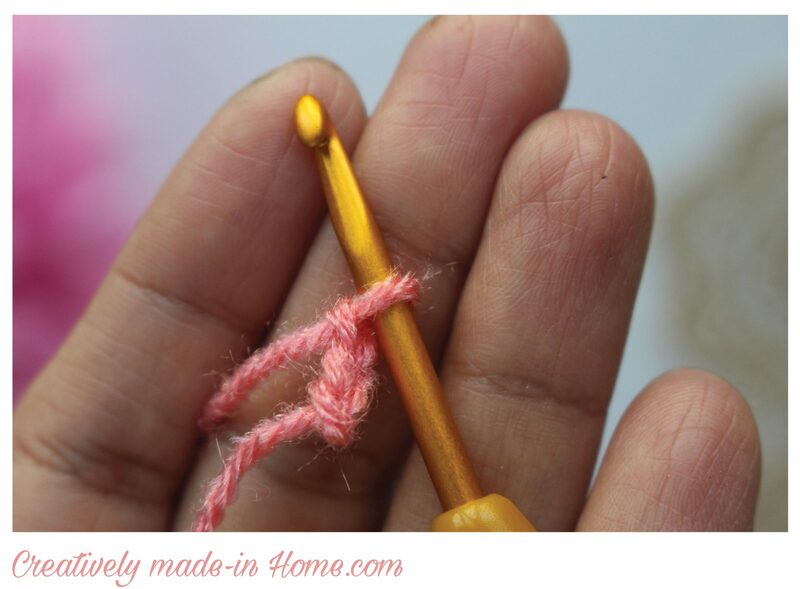 This method is wildly used in crochet as it gives you lot of flexibility. 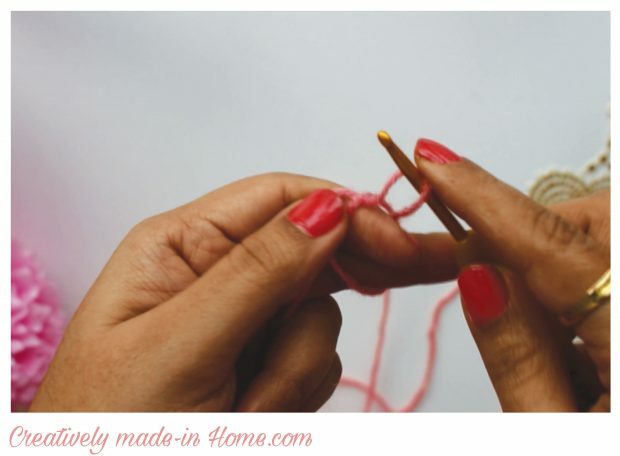 You can use this method to make- Amigurumis (soft toys), bags, rugs, flowers, caps, hats, coasters and list goes on… In this method you keep working facing the right side of the fabric. I have shared a series of posts showing how to make different geometrical shapes with crocheting in rounds. This is a very simple method. 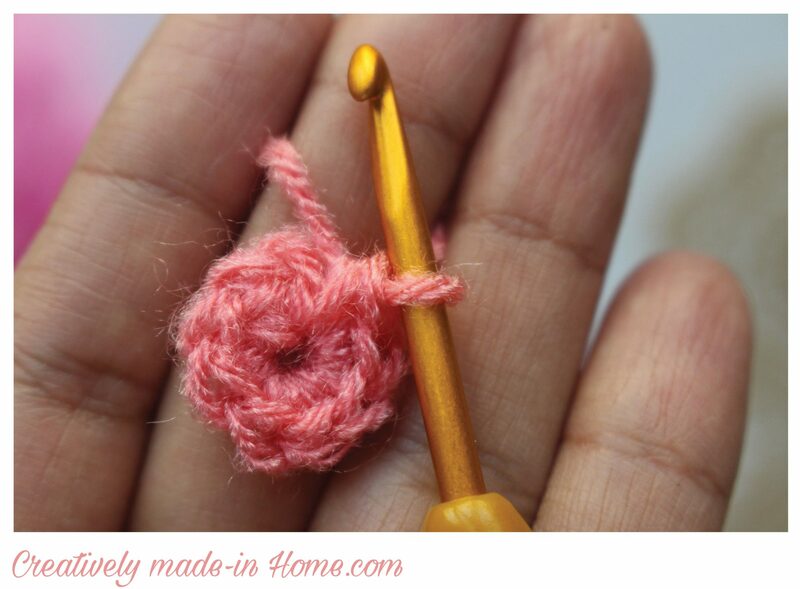 It is called as chain-2 because it was specially used in making amigurumi where mostly single crochet stitch is used. 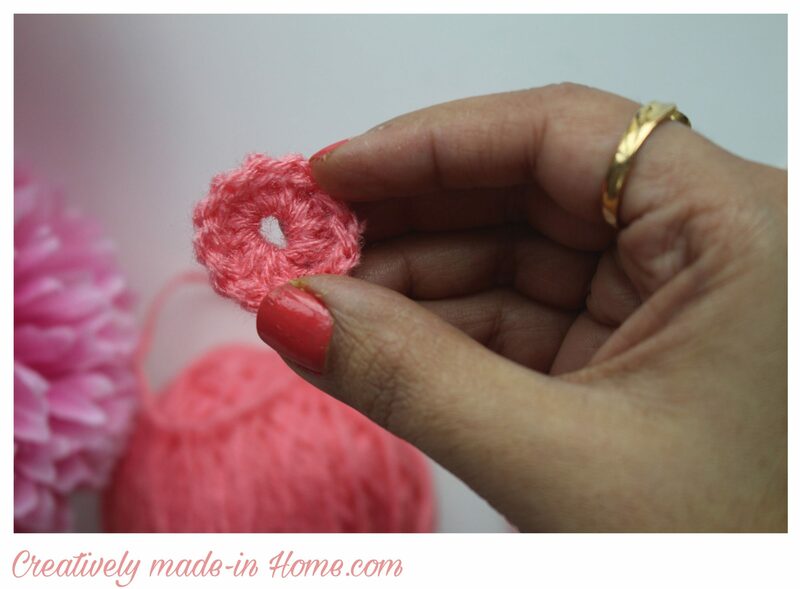 In this method, you begin with chain 2 and then make desired number of single crochets into the first chain. 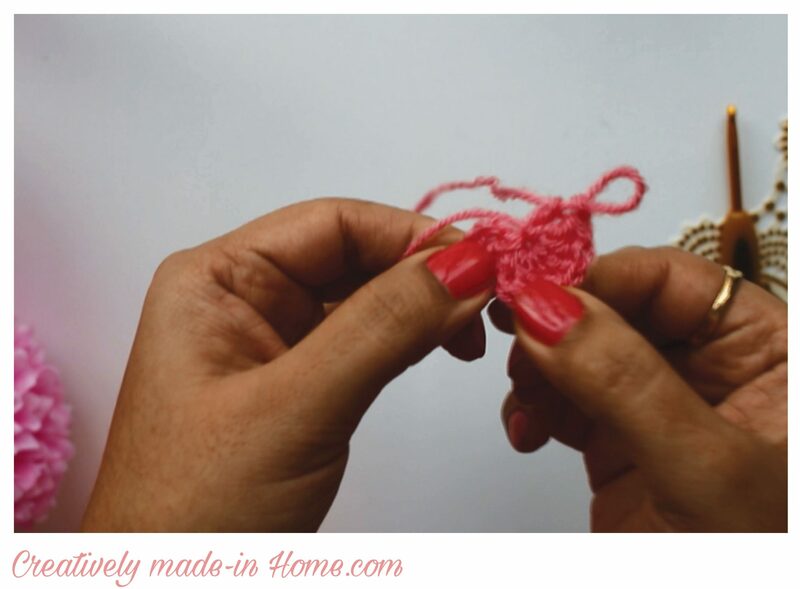 But you can use this method with any other type of stitch too. 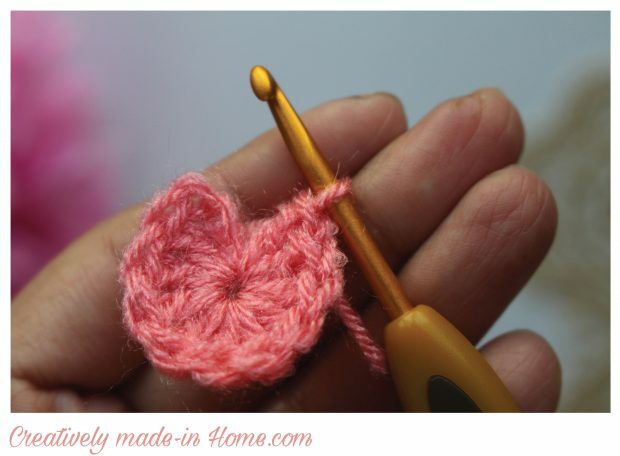 Like for double crochet make chain 4 and then make required number of double crochet in the first chain. Similarly begin with chain 5 for triple crochet and so on. It is an alternative way to magic ring method, as some people find it difficult to make magic ring so you can use this method. This is a method used when you want a dominant center to your project. 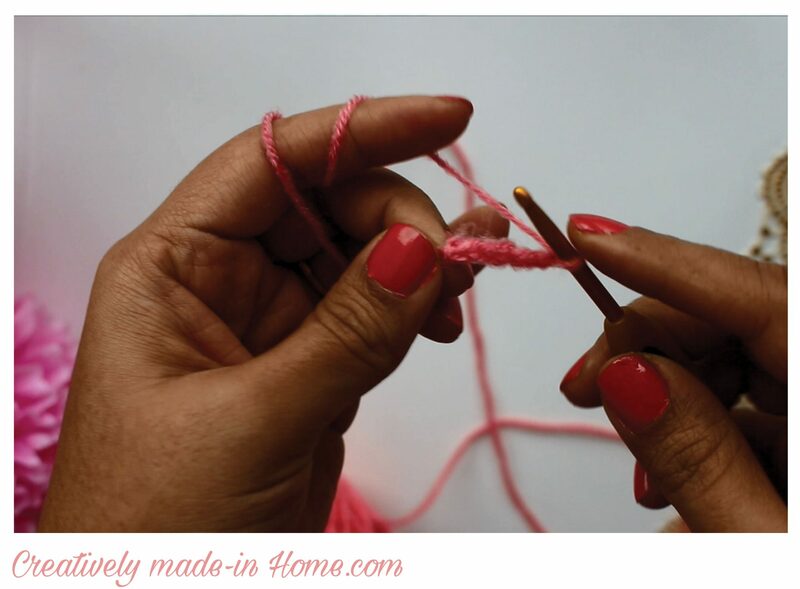 In this method you form desired number of chains then form a ring of it by making slip stitch in the first chain. This forms the center for your fabric. Then make respective number chains depending on the stitch you are gonna use in next round. Like chain 1 for single crochet, chain 2 for half-double crochet, chain 3 for double crochet and so on… And start crocheting in the ring with desired number of stitches. Make slip stitch in first chain and complete the round. This is one of the very fascinating things in crochet to me. 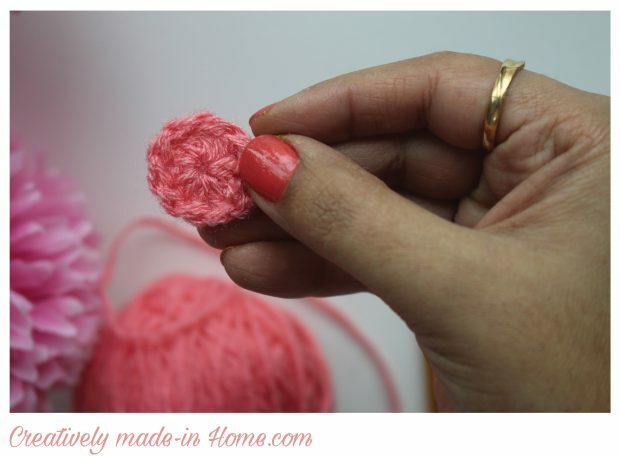 I came across this method very late after starting to crochet, but when I learnt this I was super excited. You can use this method when you don’t want to highlight the center or beginning. 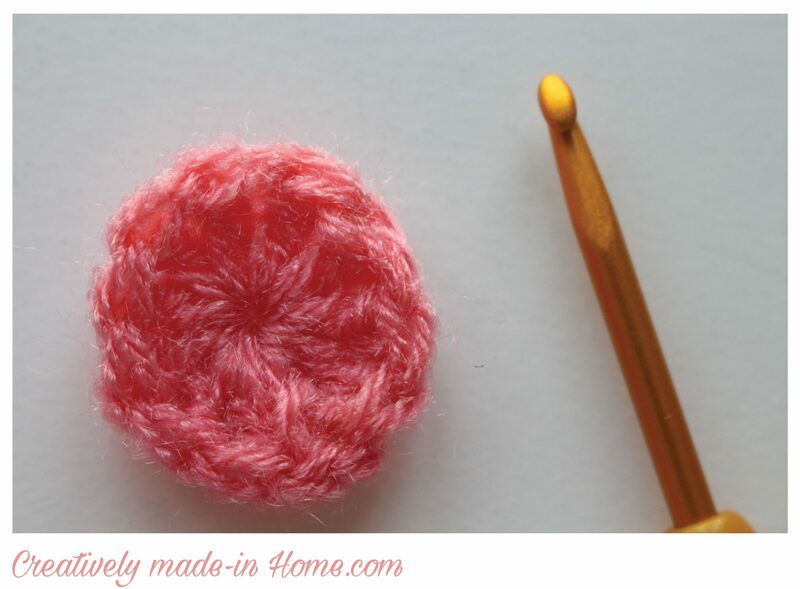 This method gives a compact beginning to your circular projects so its very good for projects like Amigurumi, hats, or caps. As I mentioned earlier some people use chain-2 method to get compact beginning, but still you will notice a hole in the center with that method. Whereas with Magic ring you can have really compact and clean center and it is not at all difficult to make. 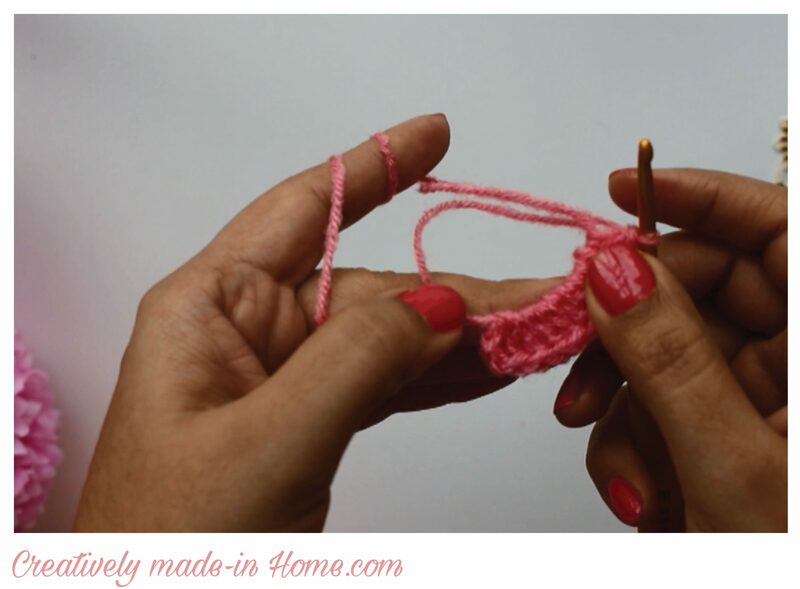 Wrap the yarn around your first two fingers and insert hook in the loop. Draw yarn through the loop. You will have one loop on the hook. 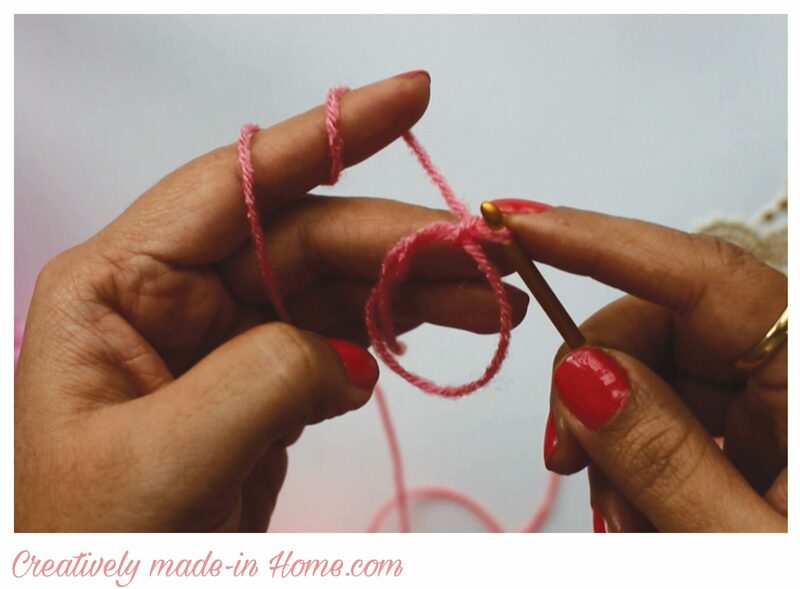 Slowly take out your fingers from the loop and grab working yarn. 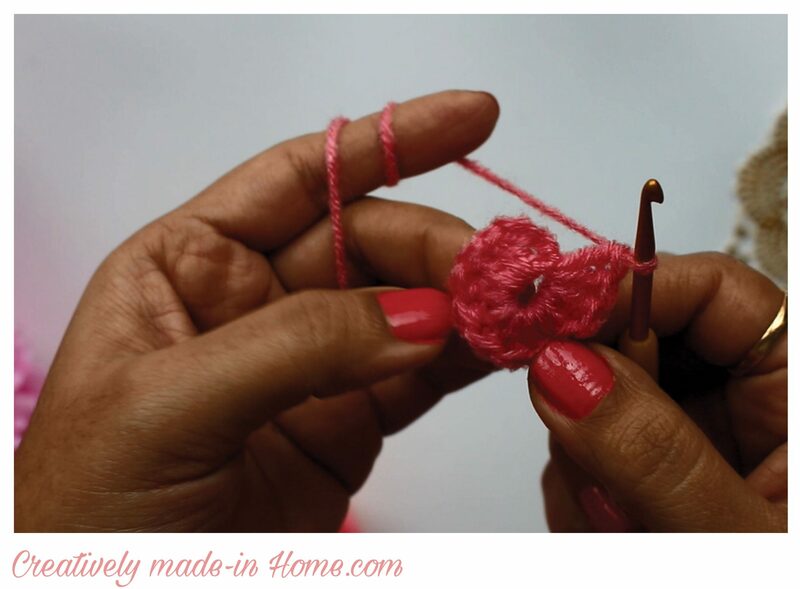 Draw yarn through the loop on hook. This will form a chain. Keep chain 1 if you want first round of single crochet, make chain 2 if you want half double crochet or make chain 3 if you want double crochet in the first round. 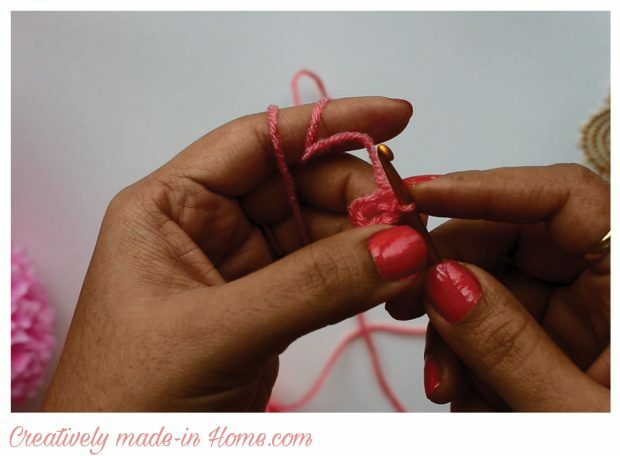 Start making the stitches in the loop. Here is a example with double crochet. When you reach the desired number of stitches, slowly pull the tail yarn. All stitches will come closer. 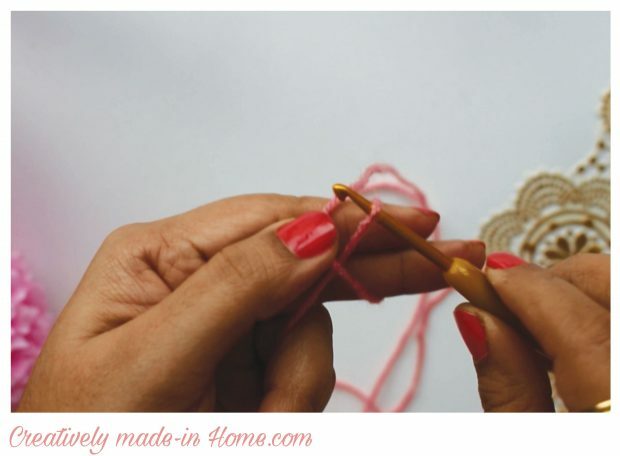 Make slip stitch in chain thus completing the first round. Isn’t it fascinating? 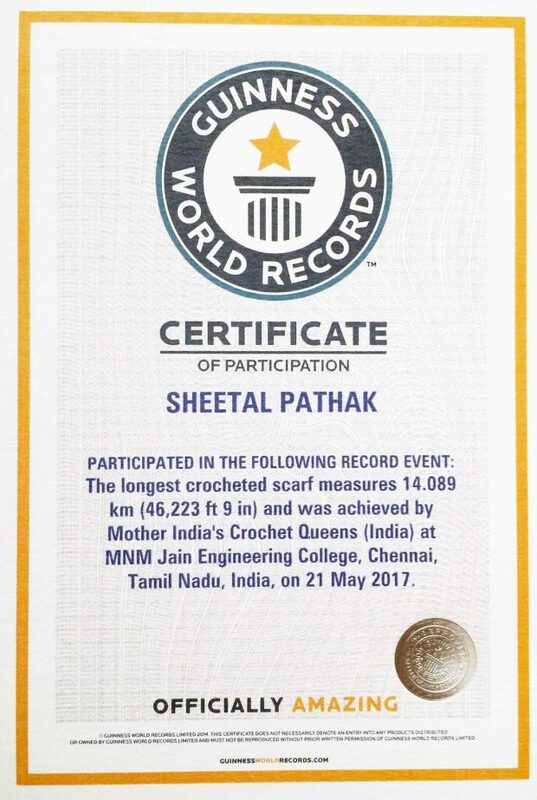 Let me know what else fascinate you in crochet.